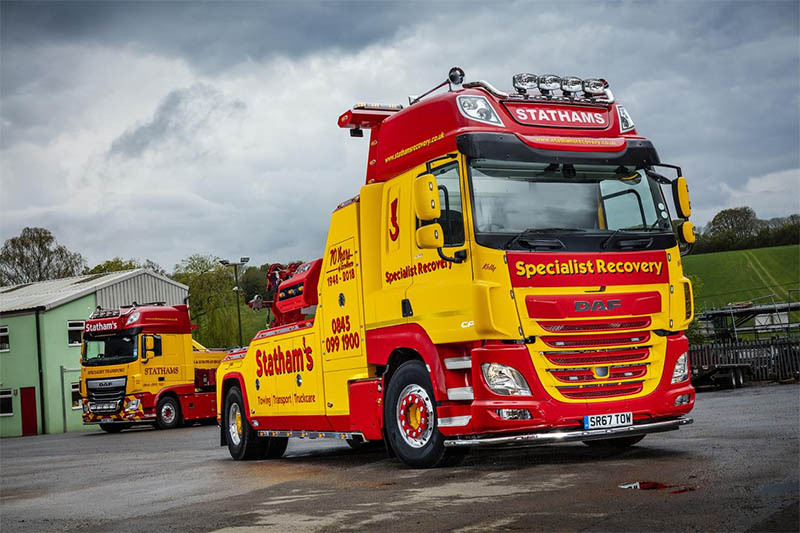 A UK-based vehicle recovery operator, Statham’s Motor Engineers, has taken delivery of a DAF New CF 530 FA chassis with NRC recovery bodywork including detachable tag-axle functionality. 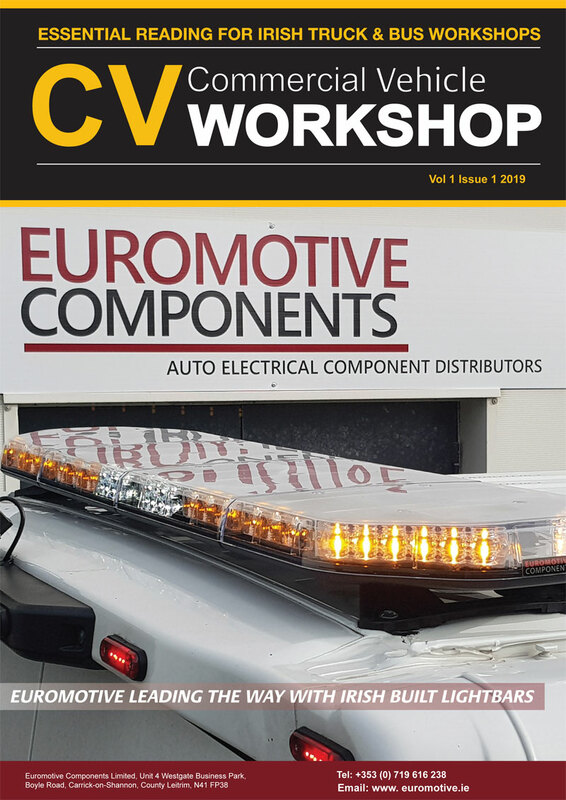 Featuring two-axle and three-axle options, the 80-tonne GTW New CF operates primarily as a 4×2 rigid albeit capable of greatly enhanced operational flexibility with an interchangeable and quick-fitting tag-axle conversion. 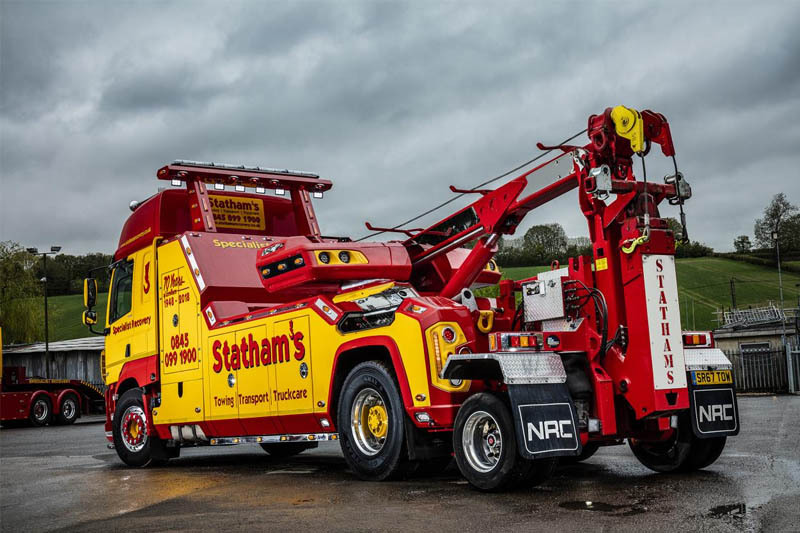 With fitment completed in around 30-minutes, the additional tag-axle allows Statham’s to lift and tow heavier casualty vehicles – typically eight-wheelers – and is complete with braking system and pneumatic suspension. 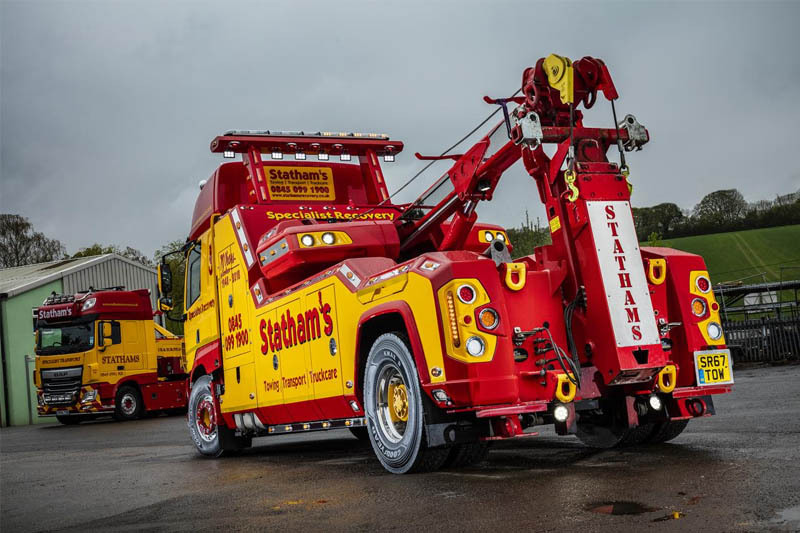 In its basic 4×2 layout, the New CF provides greater manoeuvrability throughout Statham’s area of operation, which includes London, the M25 and the so-called Home Counties.